Elizabeth Einspanier doesn’t wield mystifying prose, or deliver passages so detailed the jaw becomes unhinged, but she does tell a very clean, cohesive story. Sheep’s Clothing is both a period piece and a vampire tale, and while both could be interpreted as tired material, Einspanier’s approach is just too reader friendly to dismiss. This is an engaging book from the first page to the last. We immediately meet Doc Meadows, a young physician who’s taken up residence and launched practice in the small town of Salvation. His life is, by all means, normal. Until a knock on the door brings him face to face with the barrel of a gun and a wounded Indian. The good doc despite being threatened will not refuse the man. He patches him up before finding himself in the middle of a battle that’s been raging on for years. The stranger, Wolf Cowrie is hunting a savage vampire who long ago seduced and transformed his wife into a member of the bloodsucking variety. And now that vampire has targeted Salvation with plans to turn the town upside down and build a horde of vampires. It falls on the shoulders of Wolf and Meadows to bring halt to those plans before no living human being resides in this otherwise peaceful location. Sheep’s Clothing is a brief tale but it’s brief for good reason, there’s no need to stretch the novella from 128 pages to 300. The additional material would likely be nothing other than filler, and Einspanier’s decision to omit that filler and deliver only what is truly necessary is a welcomed breath of fresh air. I have no qualms in paying suggested retail figures for a short book if the book is captivating. In fact, I’d prefer to pay $15 (Sheep’s Clothing, for the record, is a very affordable $6) for a book that weighs in at 150 amazing pages than a book that weighs in at 400 dull pages. Einspanier gets it, and I adore her for that. Prepare for a rarity: an awesome vampire story with characters that the reader can actually care about. Characters that the reader can actually cheer for. And on the opposite side of the coin, a villain that succeeds in creating a very real discomfort and a tangible menace. The setting and date of the tale feels perfectly appropriate and the vibe of small town living is nailed seamlessly. The structuring of the tale may be a bit basic, but it’s the true definition of maximizing the minimal. 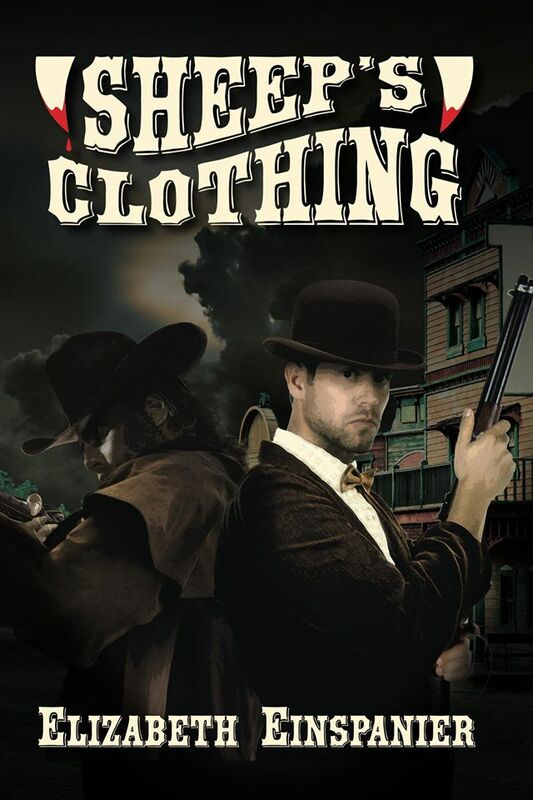 If you’re on the hunt for a fun, addictive (I plowed through the book in about 90 rewarding minutes) story about suckheads, the old west and wholesome characters, Sheep’s Clothing is an absolute must own. There’s no doubt, this one will call me back for – at the very least – one more read. Order it here, if you know what’s good for you. Seriously, it’s a great investment.